I miss my old black cab, so when Tess got in touch saying that she is parting with her pristine 1984 London Black Cab, my ears pricked up and my palms got sweaty. I spoke to Tess on the phone last night, and here’s what I gleaned about the vehicle. 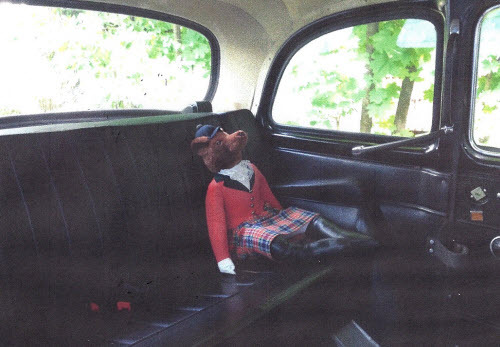 Tess imported the car herself in 1989, which means it only had about four years on the streets of England. If I’m not mistaken, it looks like a 1984 FX4. This is good news – it means it’s not the Carbodies FX4R with the Rover engine. Sorry British engineering, but I much prefer the LTI. That said, I don’t see the indicator on the steering column, and some of switches on the dash aren’t rocker switches. It looks like it has been fully restored – and it has spent much time being bought up to spec. It has been repainted, and then repainted again to make it perfect. 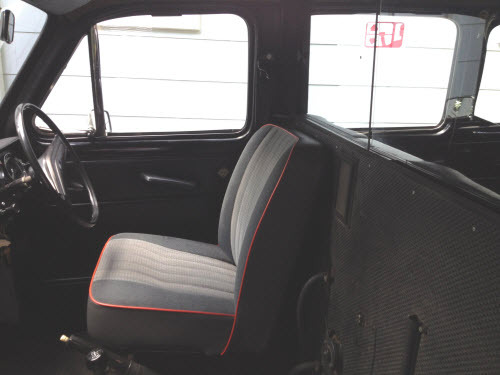 The interior looks nice, and apparently while it has a newer upholstered seat for the driver, the original seat conveys too. Well maintained for 23 years by Coachworks on Kinderkamack Rd. in River Edge, NJ. Coachworks specializes in auto services for Rolls Royce and Bentley cars. If you’re interested in taking a look, you can contact Tess at 201 445 7302. If I were in New Jersey, I would have bought it by now – it looks like no expense has been spared. Here are the photos I have. Hi mate, does Tess have an email address I can contact her on? 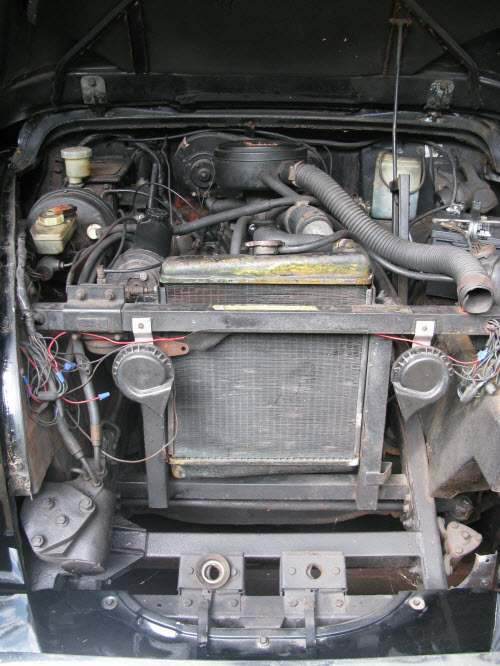 Engine looks like Landrover or BMC diesel so might be older than 84. 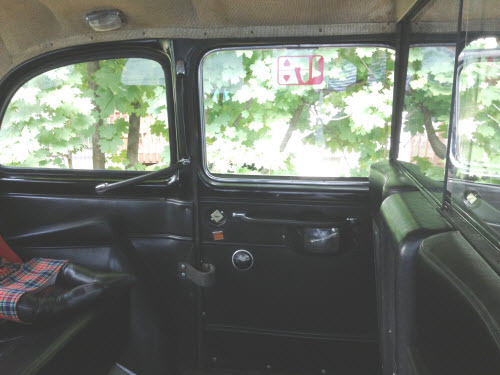 We have 8 vintage cabs here in Western Australia running as Back in Black London Cabs + SCVs ( Tm ). I am interested in learning about this vehicle. What is the selling price? Sweet looking car. 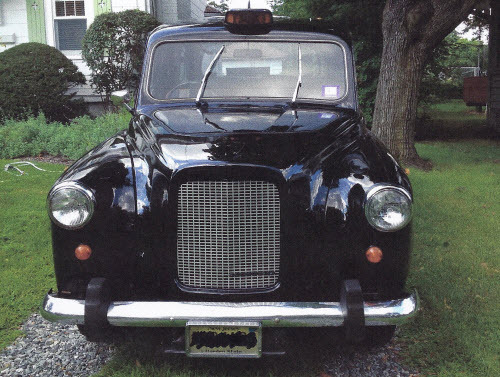 I got to ride in these taxis while my parents and I were visiting England several years ago. I didn’t notice the engine underneath its bonnet (hood), but that didn’t matter to me at the time. I found riding in it more comfortable than riding a Toyota Prius, and way better looking. Do you still have it, or were you able to sell it? Would like to a mint condition London taxi. 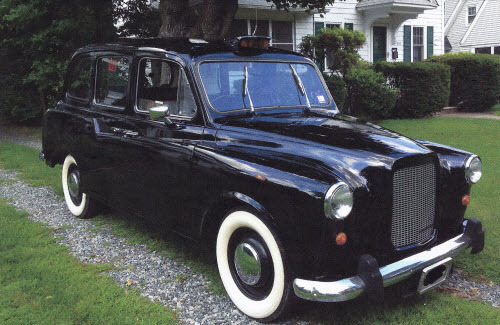 would love to find a London Black cab in mint condition does anyone know of one for sale here or in Canada (If in Canada older than 1989 so I can get in to the USA). I have a 1967 Austin FX4 London taxi that needs a full restore. If anyone would be interested please let me know. I will not part with it unless I get $2000. It is in decent condition and has a new transmission but the motor blew a head gasket and it needs to have work done underneath due to rust. The interior is in immaculate condition considering the age. Please email me if interested we are located in Northeast Georgia USA. I live in Alabama and I am very interested in this car. Have you sold it? Sweet looking car. I got to ride in some taxis while I was in England a few years back. I was amazed at how comfortable it was for its size. From the outside, it didn’t look very comfortable.